Born in 1945, Hara Kazuo was influenced as a young man by the protest movements that took place throughout Japan and the world in the late 1960s and 70s. He founded Shisso Productions in 1971 with his wife, producer, and primary collaborator Sachiko Kobayashi. 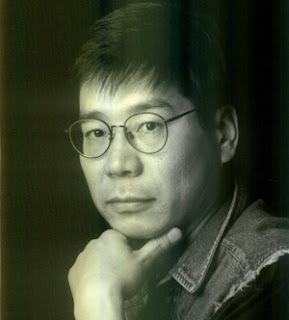 He has published five documentary films thus far, including the award-winning The Emperor’s Naked Army Marches On, widely recognized as the most important and influential documentary ever made in Japan, Goodbye CP, A Dedicated Life, Extreme Private Eros: Love Song 1974, and Watashi no Mishima. Please note: Hara Kazuo's family name is Hara, given name is Kazuo. Kaya uses the Japanese naming convention in putting his family name first. Following the European convention would reverse the name to Kazuo Hara. For more, please see our catalogue. To book an author event or for more event information, please contact Patricia Wakida, publicity and marketing: patricia *dot* wakida *at* gmail *dot* com. Kaya Press is a nonprofit independent publisher of Asian, Pacific Islander, and API diasporic literature. Kaya is dedicated to the publication of new and innovative fiction, poetry, critical essays, art, and culture, and the recovery of important and overlooked work from the Pacific Rim and the API diaspora. We publish works of excellent literary merit that feature unique voices; new and alternative perspectives; accomplished experimental writing; and beautiful, thoughtful book design. We aim to expand the vision of what API literature is and to make work from outside of the United States available, including writing in translation.